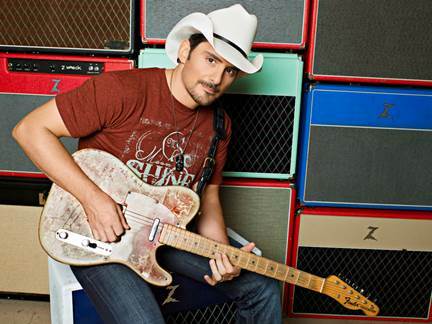 Brad Paisley is a critically acclaimed singer, songwriter, guitarist and entertainer whose talents have earned him numerous awards, including three GRAMMYs, two American Music Awards, 14 Academy of Country Music Awards and 14 Country Music Association Awards (including Entertainer of the Year), among many others. He has been a proud member of the Grand Ole Opry since 2001. Paisley has written 20 of his 23 #1 singles with the first being his 1999 hit “He Didn’t Have To Be” and his most recent, “Perfect Storm,” from his chart-topping 2014 album Moonshine in the Trunk. As a continuation of Paisley’s Country Nation College tour presented by Zaxby’s he will perform on January 24 as part of the grand-opening season for The Pavilion, the new home of Ole Miss basketball. Paisley has partnered with Boot Barn® and developed an exclusive line of jeans, hats, T-shirts, jewelry, belts and woven shirts called Moonshine Spirit by Brad Paisley. Connect with Brad at www.BradPaisley.com, www.Facebook.com/BradPaisley, on Twitter @BradPaisley, on Instagram @Brad Paisley, and YouTube at YouTube.com/BradPaisley. 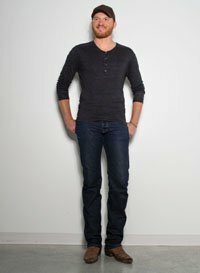 EMI Records Nashville breakout country artist, Eric Paslay, delivers a powerful punch as a renowned, Platinum-selling, hit songwriter and dynamic performer. Paslay has celebrated five No. 1 hits including “Even If It Breaks Your Heart” (Eli Young Band), “Barefoot Blue Jean Night” (Jake Owen), “Angel Eyes” (Love & Theft), “Rewind” (Rascal Flatts) and “Friday Night,” the smash lead sin gle from his critically acclaimed self-titled debut album. The Temple, Texas native recently received his second GRAMMY nomination (first as a recording artist) in the Best Country Duo/Group category for “The Driver,” performed by Lady Antebellum’s Charles Kelley, featuring Eric and Dierks Bentley. A true artist’s artist, USA Today calls Paslay “flat out-brilliant” and American Songwriter names him an influencer of country music. Paslay recently wrapped the Chris Young tour and takes the stage on tour with Brad Paisley this winter. He just released his back beat-driven groove “High Class,” the lead single from his highly-anticipated sophomore album due out later this year. Country Music News Blog participates in advertising programs that help fund the operation of this site. For more information please visit our privacy statement. This entry was posted in Brad Paisley, Press Releases by admin. Bookmark the permalink.